The Former Clyde Cameron College, now Murray Valley Private Hospital, was constructed in 1976-7 as a residential training college for trade unions on the site of a single storey red brick farmhouse which was extended and incorporated into the complex. The college was commissioned and operated by the Trade Union Training Authority (TUTA) from 1977 until its closure in 1996. The design team, Architects Group, was led by Kevin Borland with the project architect Bernard Brown. The Commonwealth Department of Construction was responsible for site supervision and contract administration. Construction was by local building firm Chick Constructions who teamed with British building company Costains. The foundation stone was unveiled by Clyde Cameron in 1976. 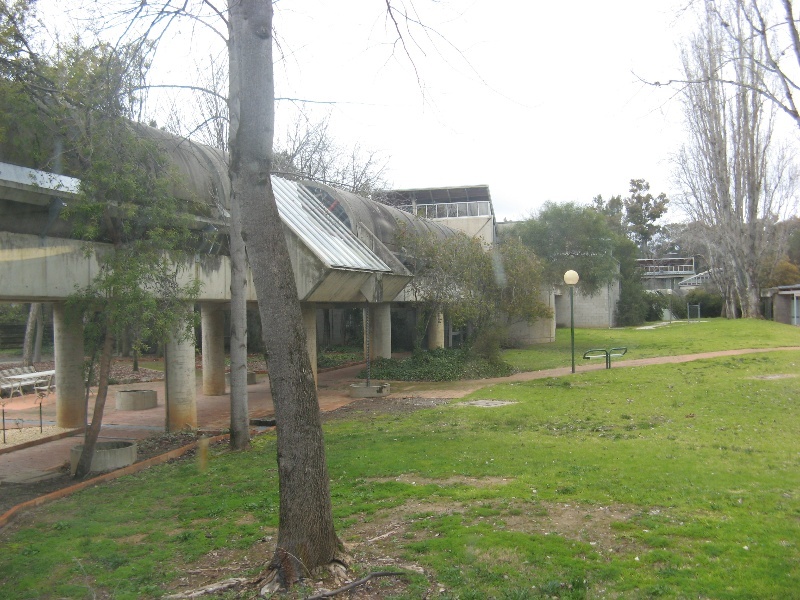 The construction of the college was fast-tracked with building works starting on site with minimal documentation, and was completed at a cost of $6.5 million in 1977. The college was opened by the Housing Minister Ray Groom in September 1977. The Brutalist style off-form concrete and concrete block complex comprises a series of wings of one and two storeys linked by pre-cast concrete pipe walkways. The wings are laid out across the site with strong 45 degree geometry. The interior has solid timber trusses and exposed services. The building was designed to showcase the trades as part of the architectural aesthetic, and the individual trades were actively involved in the on-site resolution of design issues. The building was one of the most controversial of the 1970s for both its political basis and its architecture. 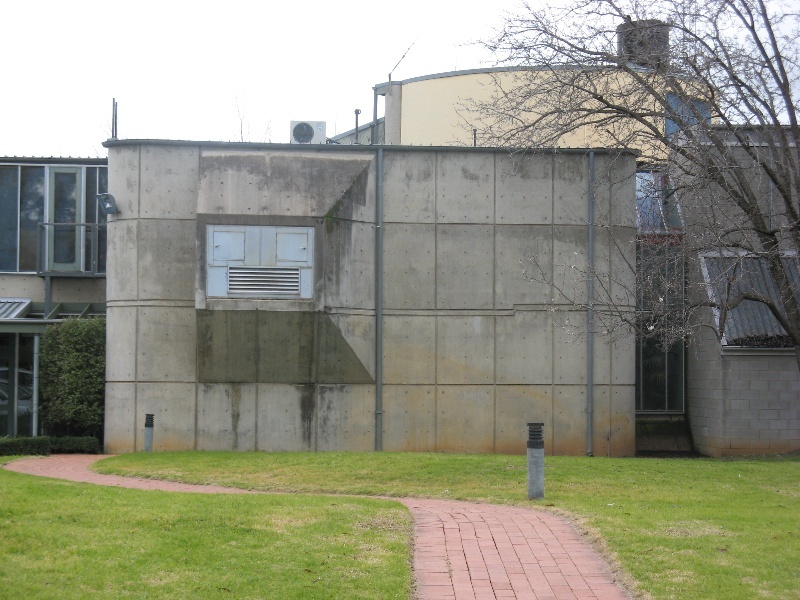 While it failed to win any architectural awards at the time, in 2008 the former Clyde Cameron College received the 25 Year-Award for Enduring Architecture from the Australian Institute of Architects Victorian Architecture awards. 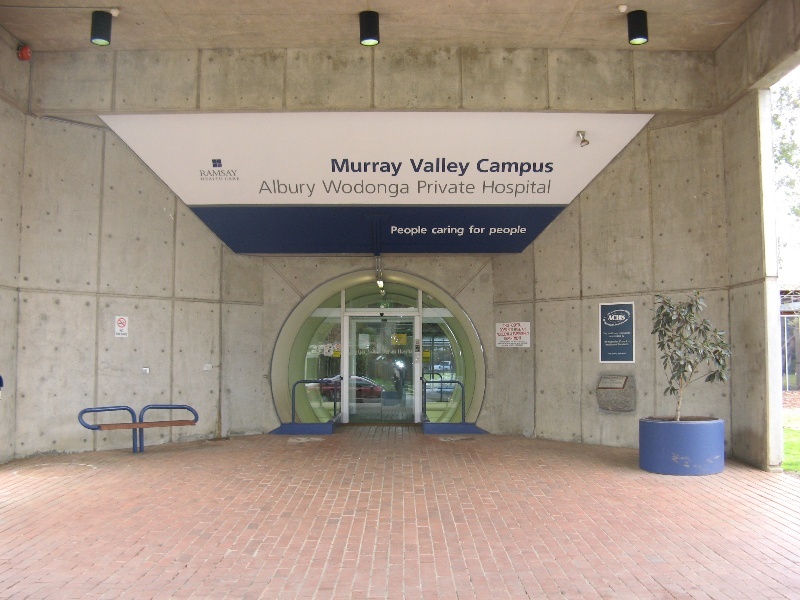 It is now used for private health services provided by Murray Valley Private Hospital and Murray Valley Radiation Oncology. It is substantially intact and in good condition. 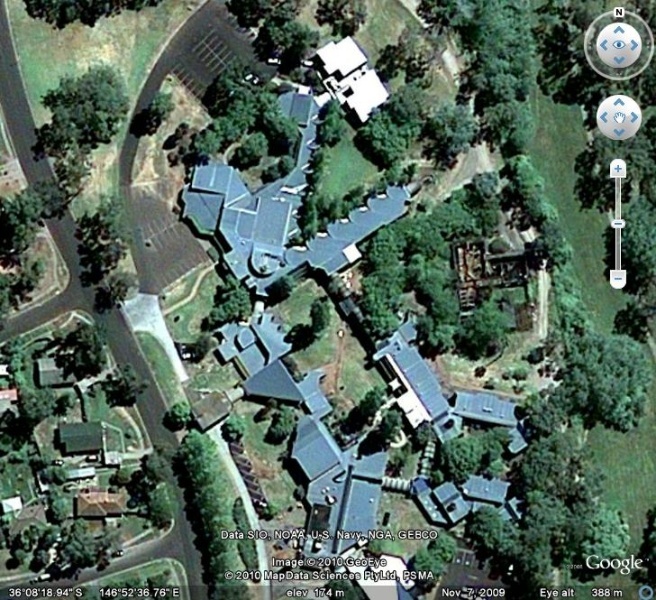 The former Clyde Cameron College is of architectural and historical significance to the state of Victoria. The former Clyde Cameron College is of architectural significance as a highly creative and largely intact example of the late twentieth century Brutalist style. The design illustrates key elements of the Brutalist ethos of honest use materials with use of unpainted off form concrete showing formwork patterns, concrete blockwork, heavy timber trusses, and exposed services. The former Clyde Cameron College is architecturally significant as the work of highly influential Victorian architect and lecturer Kevin Borland. While the design was undertaken by individuals with the Architects Group under project architect Bernard Brown, it is Borland whose political connections lead to the commission, and who conceived the striking concrete pipe connections between the different wings. It is also of architectural significance as an early example in Victoria of a building procured through fast tracked construction, driven by the need to have the construction of the building started in the event of a change of government. The former Clyde Cameron College is of historical significance for its association with the Trade Union movement, and the Whitlam government. The building was designed to showcase the skills of the designers, builders and individual trades, and reflect the aspirations of the Trade Union movement. The former Clyde Cameron College was named after the prominent Labor Party member, and long serving Federal Labor member for Hindmarsh, Clyde Cameron AO, who was a leading unionist and long term member of the Australian Workers Union. During the Whitlam government he served as Minister for Labour and Immigration, and Consumer Affairs. 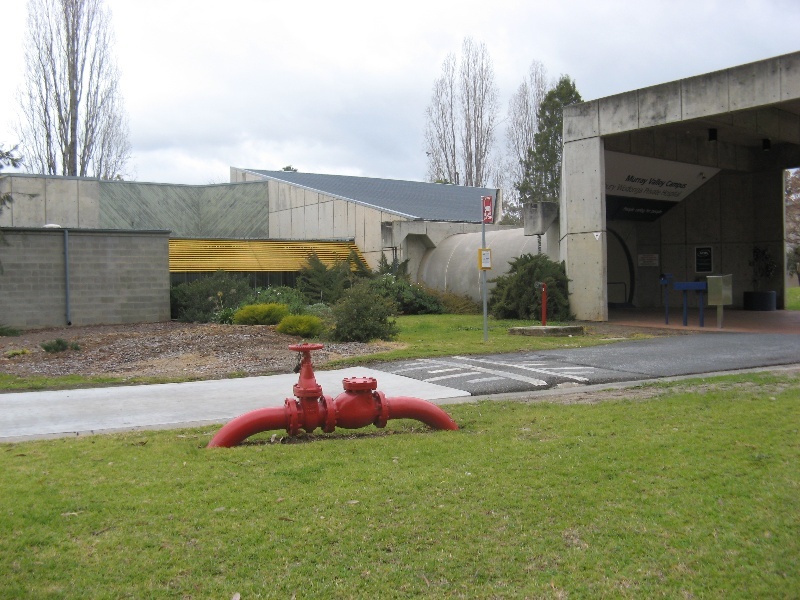 It is of historical significance as Australia's first residential trade union training facility and provides a substantial physical reminder of the strength and influence of the union movement in the 1970s. 1. 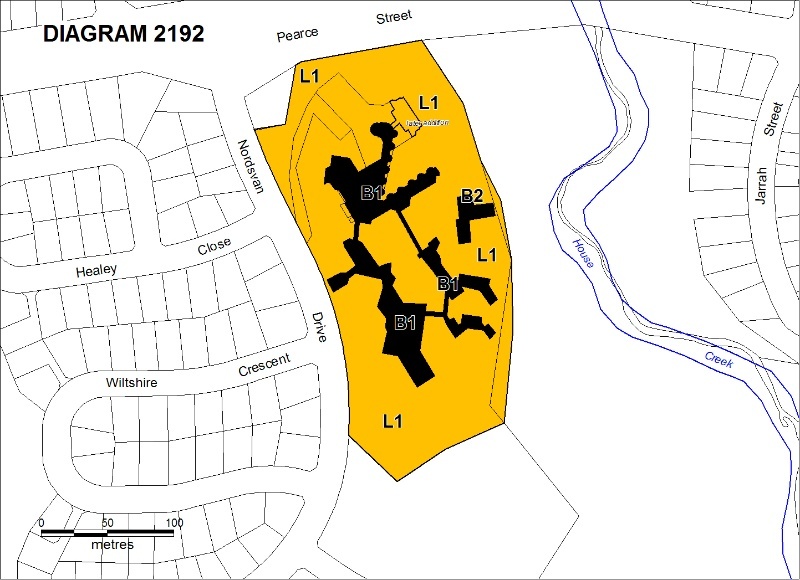 All of the land shown L1 on Diagram 2192 held by the Executive Director being all of the land shown as Common Property and Lots 2 and 3 on Plan of Subdivision 524476B and described in Certificates of Title Volume 10859 Folios 909 and 910. 2. 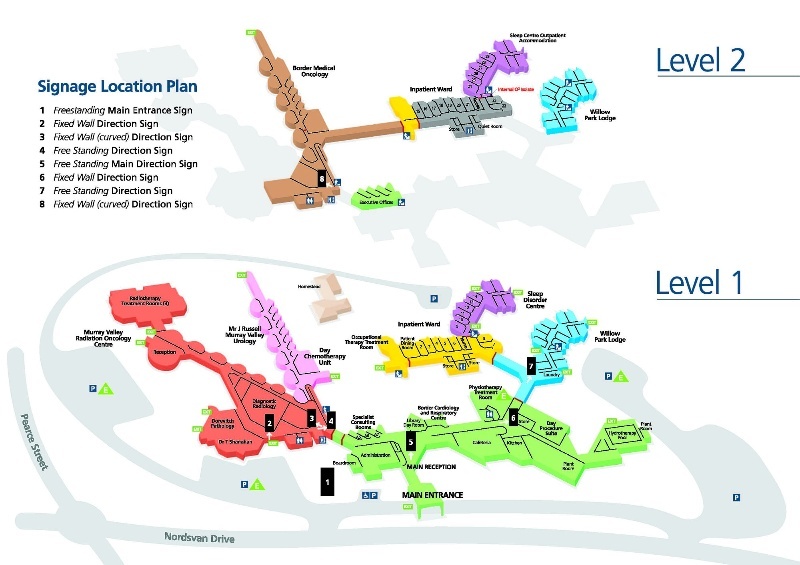 All of the buildings marked B1 and B2 on Diagram 2192 held by the Executive Director. This significant Brutalist style building was designed by the Architects Group led by Kevin Borland with project architect Bernard Brown, and constructed in 1976-7 as a residential training college for trade unions. General Conditions: 1. All exempted alterations are to be planned and carried out in a manner which prevents damage to the fabric of the registered place or object. General Conditions: 2. Should it become apparent during further inspection or the carrying out of works that original or previously hidden or inaccessible details of the place or object are revealed which relate to the significance of the place or object, then the exemption covering such works shall cease and Heritage Victoria shall be notified as soon as possible. Note: All archaeological places have the potential to contain significant sub-surface artefacts and other remains. In most cases it will be necessary to obtain approval from the Executive Director, Heritage Victoria before the undertaking any works that have a significant sub-surface component. General Conditions: 3. If there is a conservation policy and plan endorsed by the Executive Director, all works shall be in accordance with it. Note: The existence of a Conservation Management Plan or a Heritage Action Plan endorsed by the Executive Director, Heritage Victoria provides guidance for the management of the heritage values associated with the site. It may not be necessary to obtain a heritage permit for certain works specified in the management plan. General Conditions: 4. Nothing in this determination prevents the Executive Director from amending or rescinding all or any of the permit exemptions. General Conditions: 5. Nothing in this determination exempts owners or their agents from the responsibility to seek relevant planning or building permits from the responsible authorities where applicable. Minor Works : Note: Any Minor Works that in the opinion of the Executive Director will not adversely affect the heritage significance of the place may be exempt from the permit requirements of the Heritage Act. A person proposing to undertake minor works may submit a proposal to the Executive Director. If the Executive Director is satisfied that the proposed works will not adversely affect the heritage values of the site, the applicant may be exempted from the requirement to obtain a heritage permit. If an applicant is uncertain whether a heritage permit is required, it is recommended that the permits co-ordinator be contacted. Installation of security fencing along the rear of the property using black security mesh 2100mm high for a distance of 345 metres. Installation of 1800mm high timber side fence to the southern (side) boundary. Upgrading and construction of new carparking in accordance with annotated site plans on file submitted with accompanying letter dated September 30, 2008.
the addition is clearly distinguishable as an addition,by means such as a vertical control joint in the brickwork. Internal modifications to, or demolition of the later addition to B1, marked "later addition" on Diagram 2192. Installation or removal of non-structural office partitions to administrative areas, provided there is no damage caused to original fabric. For existing inpatient wards, the following works are permit exempt: painting of currently painted surfaces, replacement of flexible floor coverings, and alterations to window treatments and bed screens. Installation or removal and making good of internal fixed medical equipment, and associated services including wiring, plumbing, cabling, ductwork, provided there is no external penetration of the building. The purpose of the Permit Policy is to assist when considering or making decisions regarding works to the place. It is recommended that any proposed works be discussed with an officer of Heritage Victoria prior to them being undertaken or a permit is applied for, except where there is an approved permit exemption. Discussing any proposed works will assist in answering any questions the owner may have and aid any decisions regarding works to the place. It is recommended that a Conservation Management Plan is undertaken to assist with the future management of the cultural significance of the place. The architectural significance of the place lies in it being an highly creative and largely intact example of the Brutalist style, and so it is important that the key characteristics of this now rare style are retained. The key characteristics are the unpainted off form concrete, unpainted concrete blockwork, exposed services, and industrial glazing and use of bold colours. Any alterations that impact on its significance are subject to permit application. It is recommended that the existing unpainted concrete and concrete blockwork not be painted. The colour scheme featuring bold bright colours is characteristic of the style and should be continued. The addition of new buildings or additions to existing buildings should respect the existing geometry (strong 45° angles on plan) and form, as a series of linked wings, and the scale and materials of the existing complex. New buildings and additions on the site may impact upon the cultural heritage significance of the place and will require a permit. The purpose of this requirement is not to prevent any further development on this site, but to enable control of possible adverse impacts on heritage significance during that process. Due to the recognised need to look at energy use, alterations to the existing glazing (such as by using double glazed panels) to make the glazed areas more thermally efficient would be considered but should be discussed with Heritage Victoria prior to any decisions being made. The building has been successfully converted for use as a hospital and the continued viable use of the building is important. Where alterations have already been made to internal spaces, such as to wall and ceiling finishes to accommodation (inpatient ward) areas, these areas can continue to be upgraded. Upgrading of services (water, fire, electrics, mechanical, computer cabling and the like), should continue the Brutalist aesthetic of exposure. Any change to services should also follow the example of the aesthetic care taken by the original trades in the design and installation of pipework and ducts.